In a region noted for its barramundi game fishing, Veolia Transdev has teamed up with Northern Territory bus operator Buslink to land a 100-bus contract with the Ichthys Liquefied Natural Gas (LNG) project, transporting up to 4500 staff. The 56-month contract will be operated by Buslink VIVO as a 50-50 partnership between Buslink Connect, a subsidiary of Buslink Australia, the Northern Territory’s largest privately-owned bus company, and VIVO Connect, Veolia Transdev Australasia’s employee transport business. As Buslink VIVO, the operator will use more than 100 Mercedes-Benz Volgren 53-seat mine specification buses, as well as 50 light commercial vehicles to service the contract. The contract is primarily for the operation of buses and minibuses to transport the Ichthys LNG Project’s onshore construction workforce. Veolia Transdev CEO Jonathan Metcalfe says winning the contract vindicates his company’s decision to keep diversifying into the employee transport market, and to partner with other ‘high quality’ operators. "We successfully managed the Worsley contract in WA for four years and have been operating similar services in central Queensland since earlier this year," Metcalfe says. 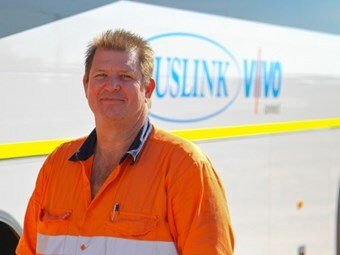 Buslink Australia Group Chairman Brian Hannon says the Ichthys LNG project is an international scale venture, and as a local Northern Territory business, it was pleasing to see his company win a significant employee transport contract. Adding to Brian Hannon’s enthusiasm for the project, Buslink Managing Director Mick Hannon says the joint venture with Veolia Transdev will work well, and that both parties would bring a different skill set to the table. "I’m looking forward to getting cracking with the first buses set to roll in January," Mick Hannon says. Buslink VIVO will also supply approximately 50 contractor operated vehicles.